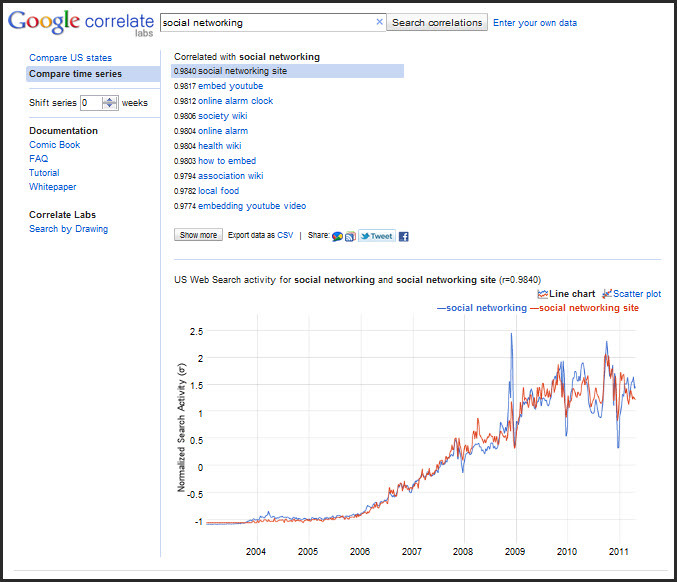 Google has many handy tools to figure out your market. 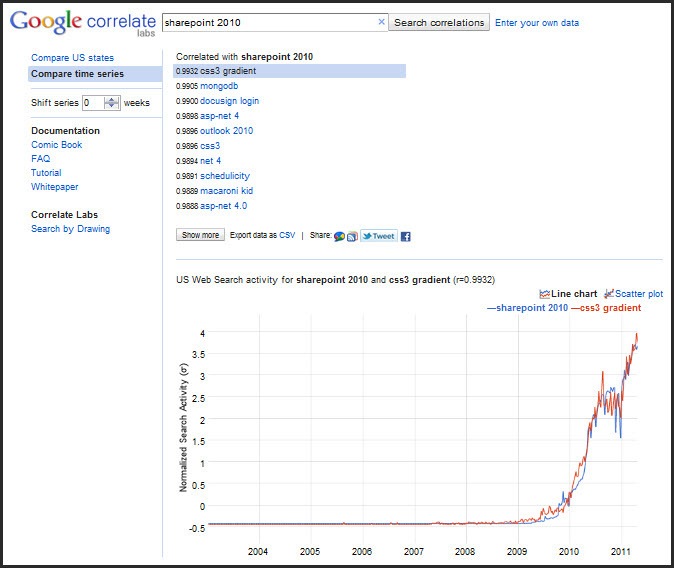 Google Correlate is a new tool in their box of tricks. 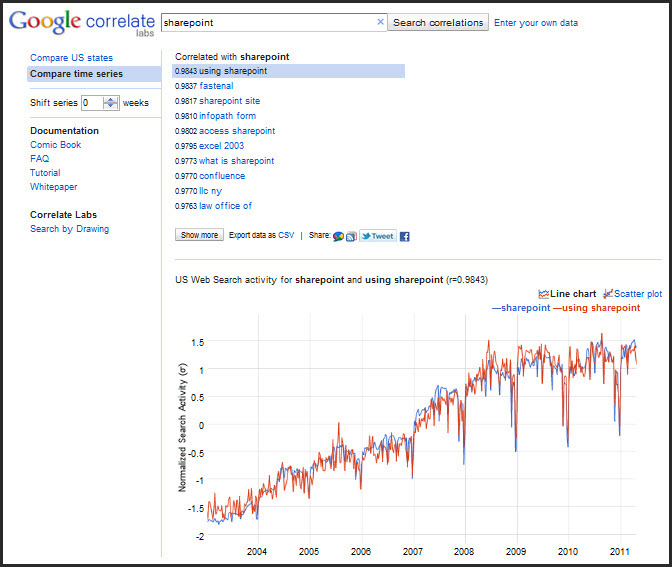 So I decided to have a look at the Correlate and Google Trends results on SharePoint. 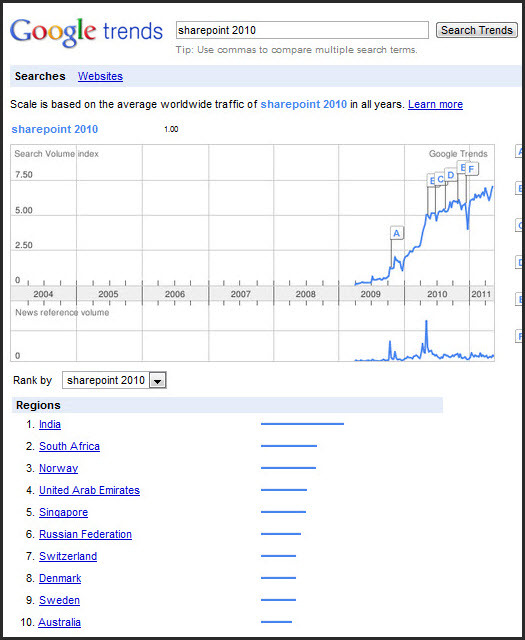 South Africa may be a small country at the bottom of Africa, but we are in the top 3 search results in Trends for SharePoint, SharePoint 2007 and SharePoint 2010! Don’t under-estimate us… 🙂 (Go right to the bottom to see our breakdown). Interesting to see who the top 3 countries are actually. 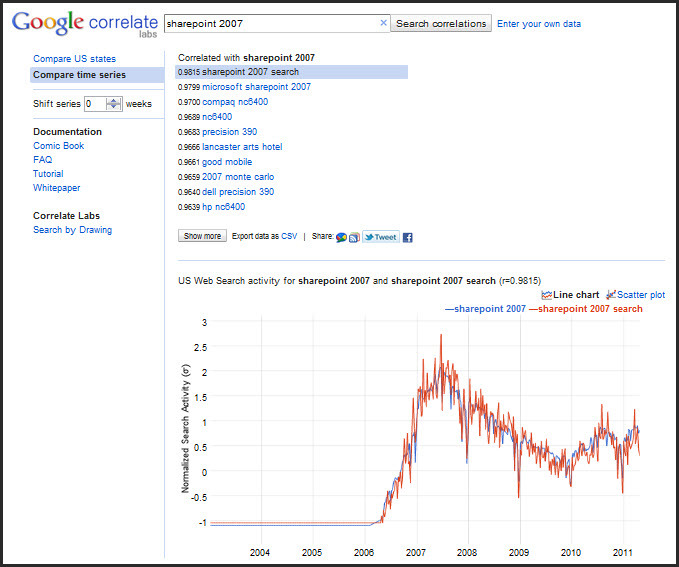 And also amazing to see the pick up in activity for SharePoint over the years. 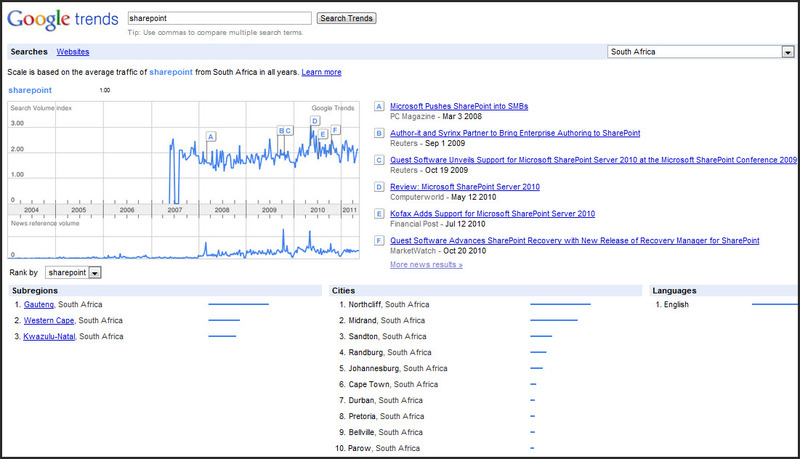 I’ll bet all those Randburg searches are from my house! 😉 … But I’m amazed that Northcliff is top of the log here. 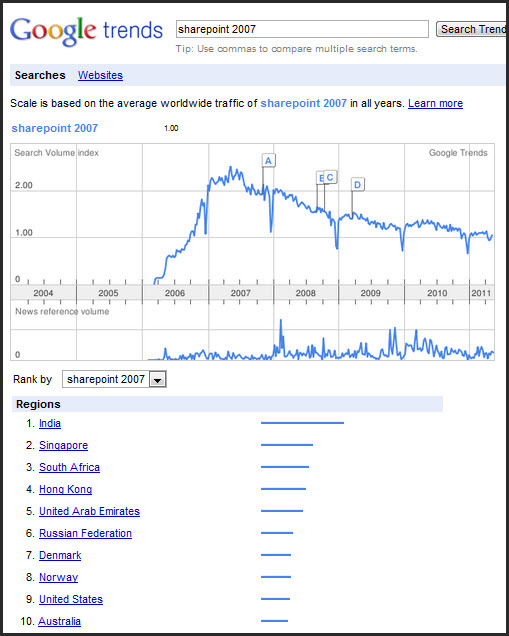 What’s going there that we need to know about I wonder… Love the fact that that all our major centres are embracing SharePoint. 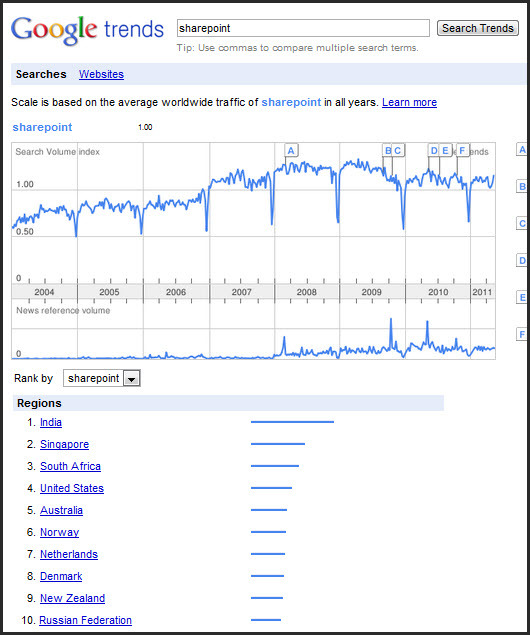 We have a great adoption rate in South Africa! 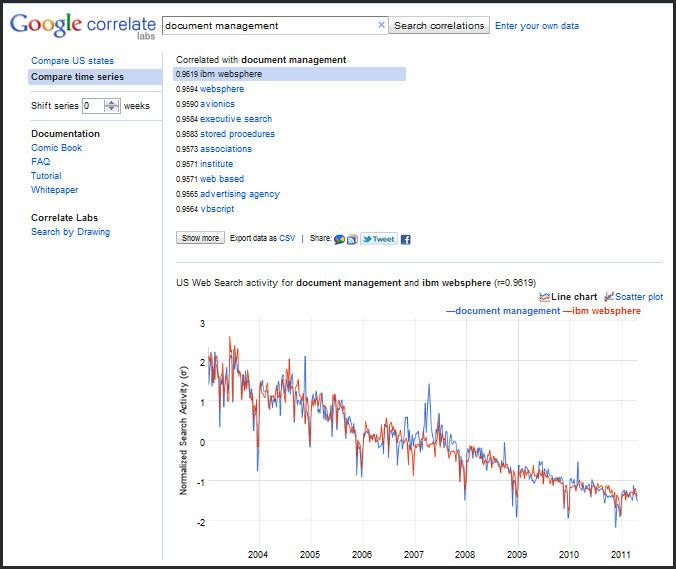 Previous Do You Need a SharePoint Whisperer? Next We’ve Installed SharePoint – We Have a Successful Platform; right? Wrong. Aha! There’s our answer. 🙂 Thanks Rob, makes perfect sense. The Northcliff makes perfect sense. Each IP address has an address associated with it and in South Africa that is the address of your ISP (unless you paid a ton to get your own IP ranges). So who is the ISP in Northcliff? Mweb Business comes to mind first, but there are others too. In short wouldn’t put much into that part, rather focus on the country and province.